Heavy Duty Polyethylene Bird Netting prevents bird infestation in facilities and degradation of vineyards, orchards and other crops as enclosures covered by bird netting allow light and moisture in. Useful for any situation where birds need to be excluded from an area. Mesh size 3/4 in., roll size 50 ft. x 100 ft. The Standard Bird Netting seals off all structural openings and other possible roosting sites. It prevents birds from roosting and nesting in undesirable areas or from eating fruit or crops. Durable Polypropylene. Standard mesh is 3/4 in. Roll size is 100 ft. x 14 ft. Best installed with Bird Net Mounting Clips. This 3/4-inch valve allows you to individually control showerheads, handshowers, and body sprays for a customized showering experience. Choose any combination, or experience all of the components at the same time. Heavy Duty Bird Netting 50 ft. x 100 ft. Commercial Grade Bird Control 3/4 Inch Knotted Mesh Heavy Duty Polyethylene Bird Netting prevents bird infestation in facilities and degradation of vineyards, orchards and other crops as enclosures covered by bird netting allow light and moisture in. Useful for any situation where birds need to be excluded from an area. Mesh size 3/4 in., roll size 50 ft. x 100 ft. 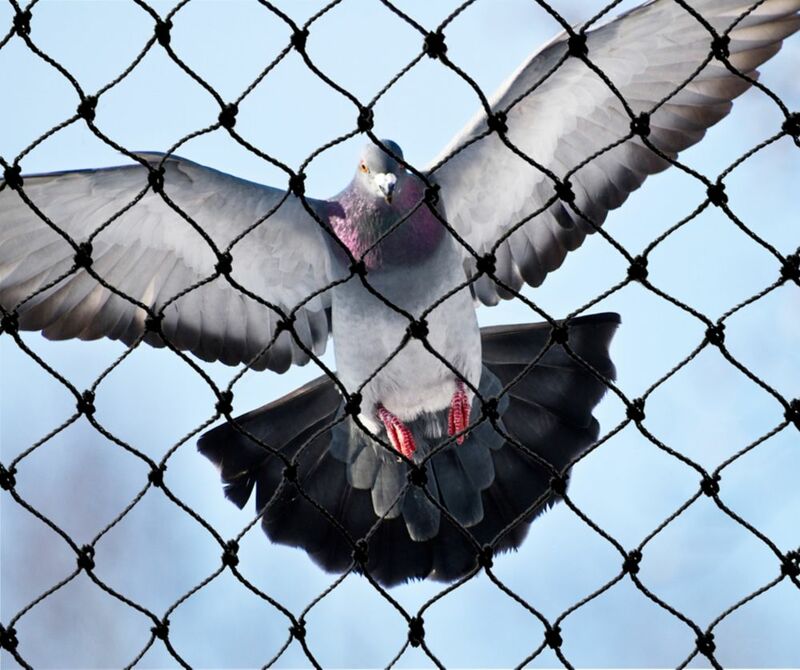 Heavy Duty Bird Netting 50 ft. x 100 ft. Commercial Grade Bird Control 3/4 Inch Knotted Mesh is rated 5.0 out of 5 by 1. Rated 5 out of 5 by Gabby from The netting has worked well. The netting has worked well.